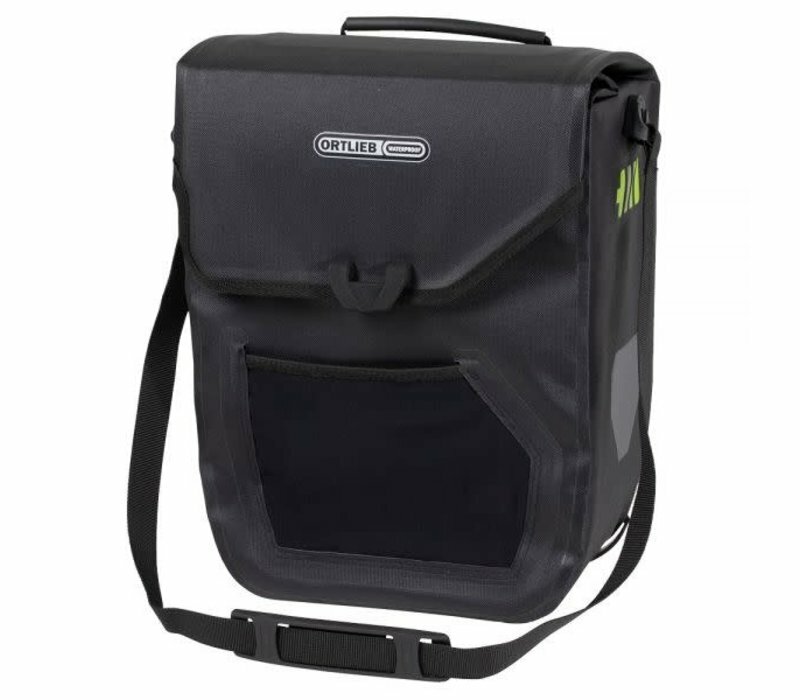 Developed especially for e-bikes, the E-Mate bike bag allows you to securely stow a bike battery in addition to your daily gear. E-bikers know what it’s like to have a (replacement) battery lurching about in their bike bags. 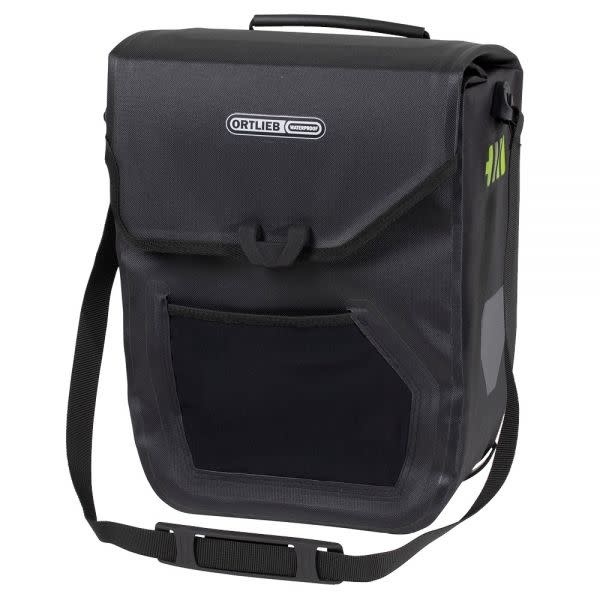 That’s why the ORTLIEB E-Mate was designed with an elegant solution: a padded, detachable battery compartment for the snug and perfectly balanced stowage of bike batteries. 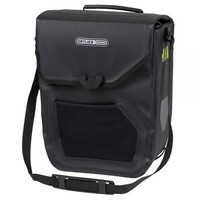 The E-Mate includes ample stowage space for other items next to and above the battery compartment. And you can also conveniently and securely stow your E-Bike display in the E-Mate’s zippered pocket on the inside of the flap. 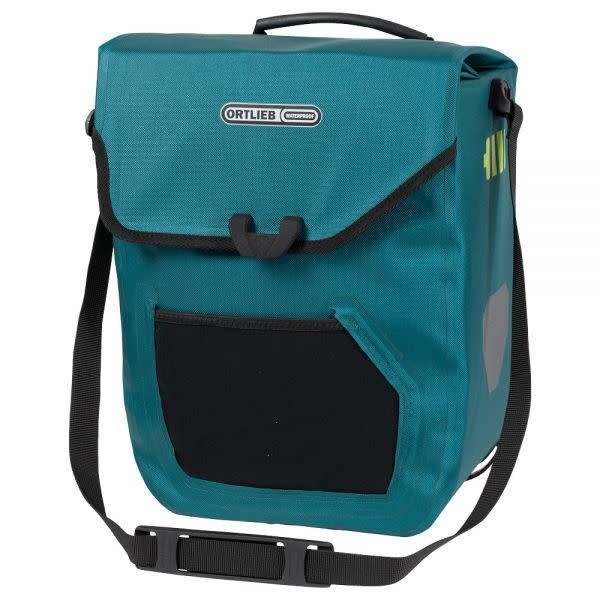 The bag’s stiffened interior gives it ample dimensional stability, the bright interior facilitates packing and the quick retrieval of individual items and the innovative magnetic closure ensures easy opening and closing. 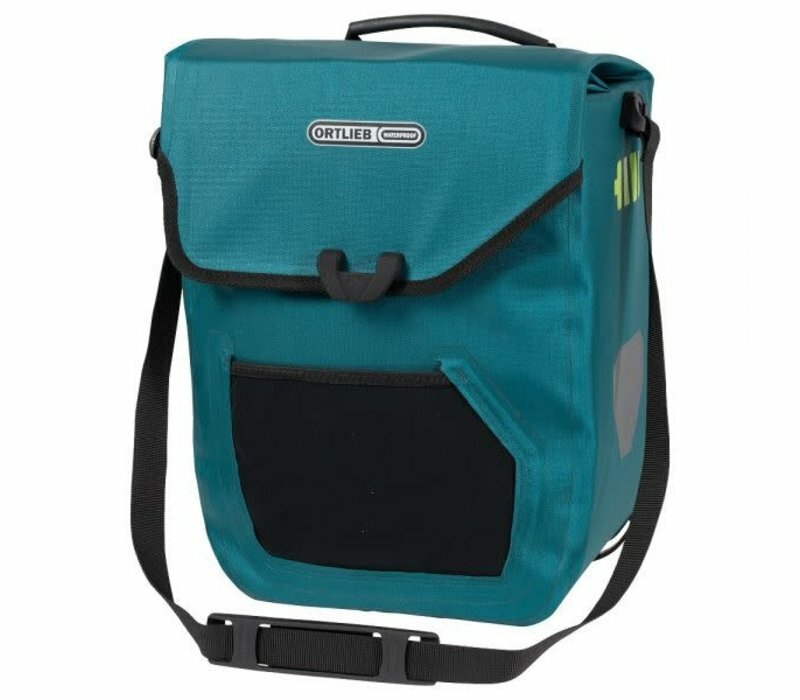 With its 16-liter payload, the E-Mate is the ideal bike bag for day trips and city adventures with your e-bike. 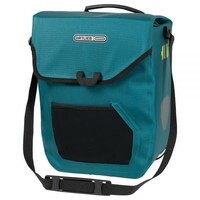 Made of PVC-free nylon fabric, the E-Mate bike bag is 100% waterproof.